Do administrators recognize the value and importance of effective communications with parents as a key factor in improving student outcomes? Do parents have different expectations today for information from their child’s school? How are teachers leveraging technology tools to provide students with feedback and instruction? 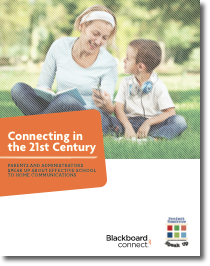 Do parents’ perceptions on the efficacy of school to home communications have any relationship with their attitudes regarding their child’s school?